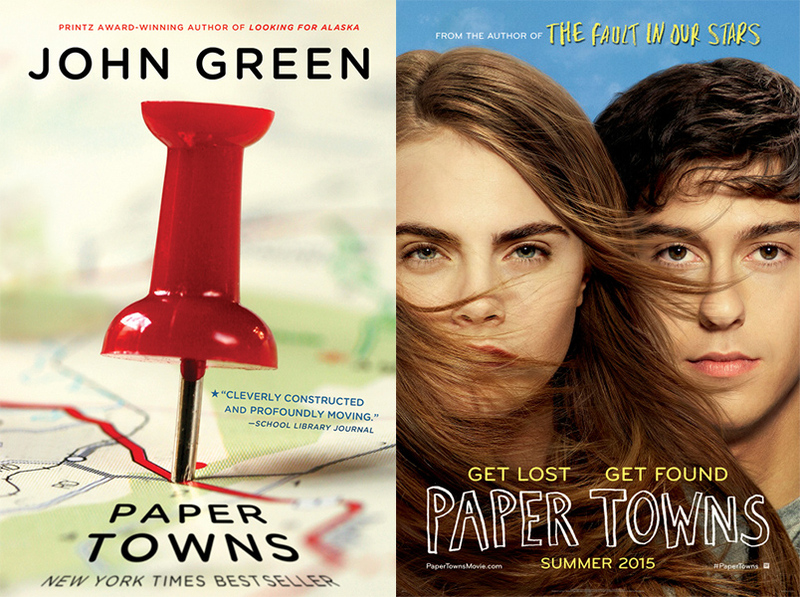 I liked reading Paper Towns. It wasn’t my favorite, but it was definitely an okay read. The beginning and end were very entertaining. I really liked the hijinks that Q and Margo get up to and the road trip the gang takes to find her. It was just the middle, which was boring and dragged on, that I had an issue with. I liked that this was fixed in the movie. There were a few key differences between the book and movie. The first of which was changing the timeline. Instead of spending a few weeks trying to find out where Margo went and leaving during graduation, the gang figures it out quicker and leave before prom. This helped fix the problem of the dragging middle of the book, and it also ended up helping wrap up the story better. Another changed I liked was how Radar’s girlfriend, Angela, was included more. In the book, she stays at graduation, but she goes on the road trip in the movie. I’m really glad she was added in. Also, Ben and Lacey’s relationship was different. Instead of them being together, they were still in the pre-prom stage, which was necessary since the timeline was sped up. The movie was funny and I enjoyed watching it. I thought that the actors did a good job portraying and staying true to the characters, which is always important. Overall, the changes definitely made the story stronger. I think I need to read the book ’cause I didn’t like the movie maybe I’ll like the book. The book was a little slow for me, but you might like it! Let me know what you think once you read it!